The Gujarat Mineral Development Corporation will release GMDC Mine Sirdar Admit Card 2018 shortly. GMDC started recruitment for the vacancies of 44 posts like Mine Sirdar/ Mine Mate (Sahayak), Trainee Mining Engineers, Dy. General Manager (Mines) and General Manager (Environment). Strivers who are eligible can apply to GMDC Mine Sirdar recruitment. The status of the admit card and the examination details are mentioned in the below of this page. Candidates can through this page to know all the details about the GMDC Mine Sirdar Admit Card 2018. The GMDC Mine Sirdar Admit Card has not yet released. The application process for the candidates has started and it ends on 27th February 2018. Applicants need to apply fastly for the GMDC Mine Sirdar recruitment. The process of the GMDC Mine Sirdar recruitment has been undergoing so the officials of the GMDC Mine Sirdar has not revealed the admit card information and examination date and timings. Aspirants who are already applied for the GMDC Mine Sirdar recruitment are continuously waiting and searching for the links to download the admit card. No need to worry guys!! We are here to provide the official links of the GMDC site to download the admit card when it is released. Candidates can download the admit card through the below provided link without any confusion and doubts. Follow our website Sarkari Naukri for more latest updates on Gujarat Mineral Development Corporation recruitment process. The management of the GMDC is planning to conduct the written exam to fill the vacancies. After the completion of the application process date they will release the examination date and the admit card status. Candidates need to download the admit card after it is released. All the government organizations mostly like to reveal the admit cards before 10 to 15 days of the examination. So applicants need to updated and have to download the admit card. When the examination date comes nearer more rush will be there and the site may be slow to download the admit card. To download the admit card aspirants need to enter the date of birth and application id number. The application id and the date of birth have to match in the application form. So candidates need to enter the date of birth which is entered in the application form page. After downloading the admit card applicants need to cross verify the details which are printed on the hall ticket. If any errors are found on the admit card the candidates need to inform to the authorities of GMDC. The applicants need to carry the admit card along with some particular documents to the examination. The personal details of the candidate like name of the applicant, date of birth need to same on both of the admit card and the documents. Before going to the examination candidates need to check all the documents along with admit card. If any errors are there at the time of examination aspirants need to face the problems. In the below sections we will mention how to download the GMDC Mine Sirdar Admit Card 2018 and the importance of GMDC Mine Sirdar Admit Card. The GMDC Mine Sirdar Admit Card will play an important role at the time of examination. Admit card or hall ticket contains the details like examination centre, timings of the examination and the personal details of the candidate. Without the admit card it is impossible to enter in to the examination hall. Admit card is used to find whether the candidate appearing to the examination is same as the candidate registered or not. By checking the admit cards it is easy to find the false candidates. After the release of admit card we will update the status of GMDC Mine Sirdar Admit Card in this page. Go to the official website of Gujarat Mineral Development Corporation gmdcltd.com. Search for the GMDC Mine Sirdar Admit Card 2018 for various positions. Click on the GMDC Mine Sirdar Admit Card 2018 link. The login page will be redirect. Click on the submit or next button. GMDC Mine Sirdar Admit Card will appear on the screen. 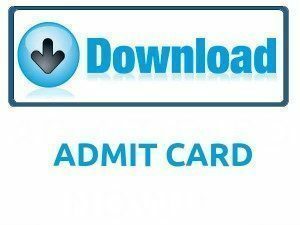 Download the GMDC Mine Sirdar Admit Card 2018. Submit GMDC Mine Sirdar Admit Card 2018 at the examination hall with any identity proof. In this page we mentioned all the details about the GMDC Mine Sirdar Admit Card 2018. We think it is useful for all the responsible and the interested aspirants who want to apply for the GMDC Mine Sirdar recruitment. For further updates regarding to GMDC Mine Sirdar Admit Card 2018 stay tuned to this page. For more updates like Recruitment, Previous Papers, Syllabus etc visit our website Sarkari Recruitment. Thank you.